After weeks of teasers, Nikon has finally announced not one, but two full-frame mirrorless cameras. Both cameras use the same body, but have two different sensors – one 45.7 megapixels, and the other 24 megapixels, and a couple of other differences. 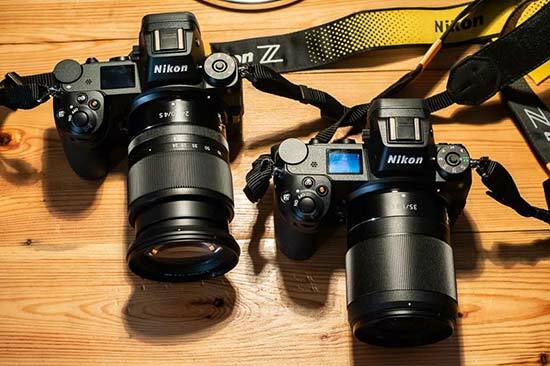 Alongside the two new models, Nikon is also launching three lenses which are all designed to fit a brand new Z-mount. An adapter will also be available which means existing Nikon F-mount lenses can be used with the new cameras. 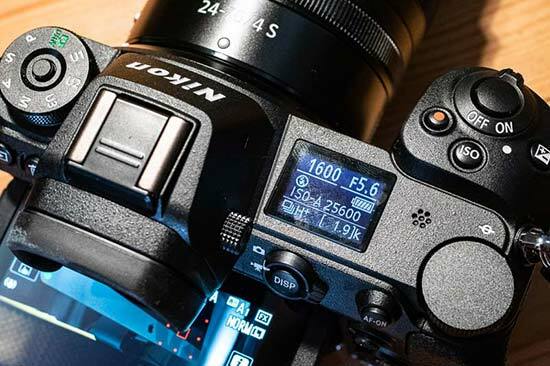 Looking set to tackle the might of Sony’s full-frame mirrorless dominance, these models are quite possibly Nikon’s most important announcement of recent years. Other important features to note include a 3.6-million dot EVF, a 2.1-million dot tilting screen, 4K video recording, 5-axis image stabilisation in the camera itself, Wi-Fi and Bluetooth connectivity, and in-camera charging via the USB port. The cameras will have two separate sales-start dates. The Z7 is to go on sale first, in September, for £3,399 body only, while the Z6 will be available to buy from November for £2,099. In terms of design, Nikon has very much stuck with what it knows, creating something which looks like, in essence, a smaller DSLR. It keeps the body of the camera(s) chunky enough to be comfortable to use, while still reducing the size somewhat. Importantly, it remains relatiively well-balanced even if you choose to use heavier lenses. 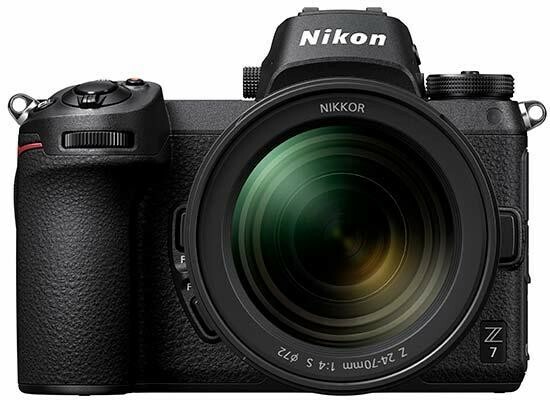 The layout of the buttons and so on is also extremely similar to existing Nikon DSLRs – if you’re already used to using a Nikon DSLR you should very comfortable using either the Z7 or the Z6 (which are exactly the same on the exterior). There’s also weatherproofing, which is claimed to be to the same level as the D850, while the overall build quality feels very robust and well-made. On the back of the camera, the majority of the buttons are found grouped on the right hand side. You’ve also got a joystick which you can use to move focus points around the frame – it’s also got a ridged coating to help you easily lay your thumb on it when using the viewfinder. Otherwise there’s very familiar (to Nikon DSLR owners) buttons in the shape of an AF-On button, Menu button and a switch for flicking between shooting video and shooting stills. On the top of the camera is a mode dial for quickly moving between the various exposure modes the camera offers. You’ll find M/A/S/P as well as a fully automatic option, plus space for three different groups of custom settings. In order to move the dial, you’ll need to hold down a button in the middle of the dial – which helps to prevent accidental changes in bags and so on. Also on the top you’ll find a dial for changing certain settings depending on the shooting mode you’re in, which can used in conjunction with a secondary dial built into the camera’s grip – so again it’s very much like using a DSLR. Around the on/off switch is a video record button, ISO button and exposure compensation button, while the shutter release is found in the centre of the switch. A top panel displays key shooting settings, such as shutter speed, aperture, ISO and so on. A high-resolution, class-leading, 3.6-million-dot EVF is used on both cameras, offering 0.8x magnification. In use, the EVF is fantastic, with lots of detail and an extremely pleasant view of the scene. Similarly, both cameras use a 2.1-million dot tilting touch-sensitive screen. You can use this to make various selections in either the main or quick menu (which is accessed by pressing the “I” button on the back of the camera). 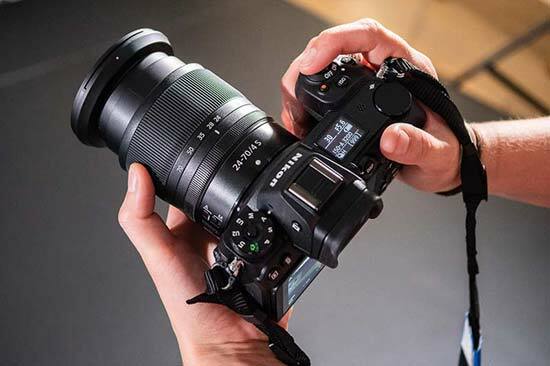 You can also use it to select a specific focus point around the frame – one disappointment is that you can’t use the touchscreen in conjunction with the electronic viewfinder, though. Aside from the differences in resolutio, another difference between the two cameras is the AF system. The higher resolution Z7 uses a 493-point phase detection AF system, while the Z6 uses a 273-point phase detection AF system. The Z7 offers 9fps shooting, while the Z6 can manage 12fps. 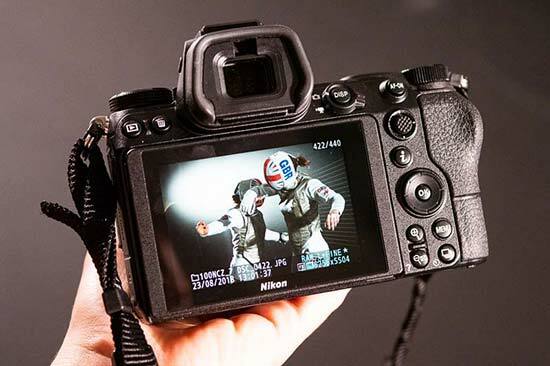 Wi-Fi and Bluetooth connectivity are included in both the cameras, with Nikon claiming that connections should be more stable than those seen in previous cameras thanks to a dedicated processor. We haven’t yet had chance to put this to the test, but it’ll be a welcome improvement if stability between the camera and Nikon’s free Snapbridge app could better. A little controversially, Nikon has decided to equip both the Z6 and the Z7 with just a single XQD card slot. 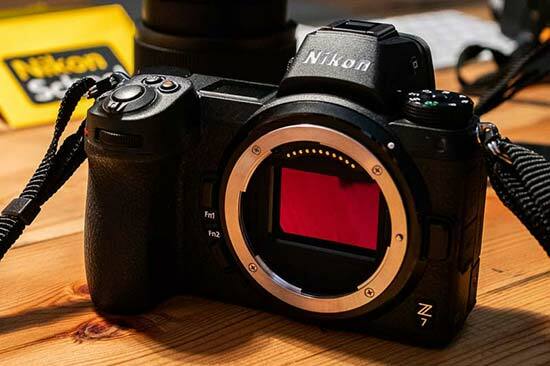 So far, the only other cameras on the market to use XQD cards are Nikon’s high-end DSLRs, so for many buying the Z7/Z6, they’ll also have to factor in the expense of additional memory cards and readers. Having a single slot also means no back-up or overflow storage. Nikon says that the reason for this is because there isn’t enough room for two XQD card slots, and, research suggests that relatively few photographers use a second card slot for backup. Having an SD card slot for the second slot wouldn’t be as fast as an XQD card. Still, it’s likely to cause some contention with photographers – especially professionals. At launch, just three Z-mount lenses are announced – a 24-70 f/4, a 35mm f/1.8 and a 50mm f/1.8. 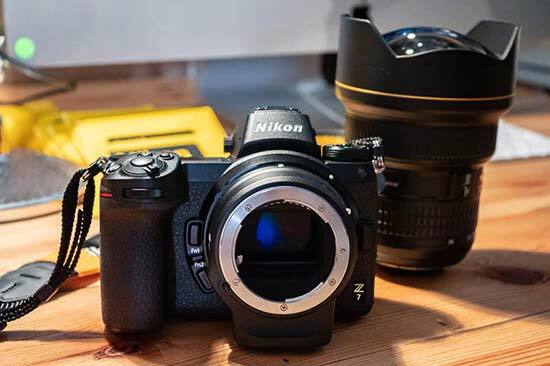 The new lens mount will not include a built-in autofocus motor, so, while that means it is compatible with Nikon’s extensive back catalogue of lenses, only those with focusing motors inside them will be compatible with the Z7/Z6’s autofocusing system. Although we have had a chance to try out the Z7 cameras, we were not permitted to take away any photos for close examination, as only pre-production models were available. However, early indications from looking at shots on the screen look very promising – as well as some of the sample images taken by photographers who have had early access to the camera. Images appear to be exceptionally sharp, with excellent colours (particularly skin tones), while dynamic range and overall exposure looks very good too. We’ll of course be keen to put it properly through its paces as soon as a full production sample becomes available. Obviously we have had to wait some time for Nikon’s entry into the full-frame mirrorless market. Although Nikon has attempted mirrorless before, with its ill-fated Nikon 1 system, this time it feels as if it has got the formula right. It seems to have stopped worrying about cannibalising DSLR sales, and is actively looking towards the future of photography. For now, it’s likely that the Z6/Z7 will be mostly of interest to early adopters, but it’s an extremely interesting and promising first attempt. To say that we are excited to fully put the new camera(s) through their paces is an understatement – watch this space.